Perfectha Derm is an injectable non-animal hyaluronic acid dermal filler manufactured by ObvieLine. It contains 20mg/ml of hyaluronic acid cross-linked using original E-Brid Technology and 90,000 hyaluronic acid particles/ml. This implant is intended for smoothing medium winkles such as frown lines as well as for plumping thin and asymmetrical lips. 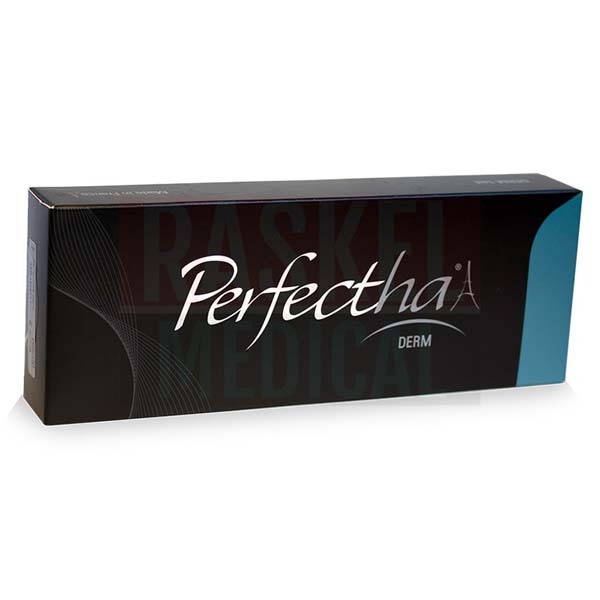 What is Perfectha Derm formulated to do? Perfectha Derm is made of 20mg/ml of hyaluronic acid cross-linked via original E-Brid Technology. This innovative technology forms strong covalent bonds between and within the synthetic hyaluronic acid molecules without using chemical reticulating agents. Besides that, it also contains approximately 90,000 particles/ml which makes it perfect for correcting moderate-set wrinkles and augmenting lips into desired shape and size. 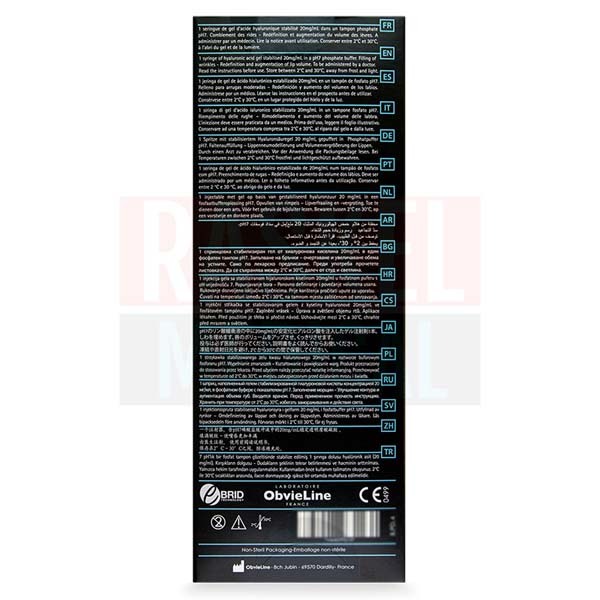 This aesthetic filler is manufactured by ObvieLine, an acclaimed French pharmaceutical company. ObvieLine is a subsidiary of Sinclair Pharma. The country of origin for this product is France. Some commonly reported side effects are swelling, itchiness, redness and pain. These inflammatory reactions at the injection site will resolve usually within a week but longer for the lip area. This non-animal hyaluronic acid injectable gel is indicated for correcting moderate-set wrinkles as well as for plumping thin and asymmetrical lips. This hyaluronic acid dermal implant is manufactured without any pyrogens. Also, since it is reticulated via E-Brid Technology, the presence of 1,4-butanediol diglycidyl ether (BDDE), a commonly used cross-linking chemical, is undetectable. 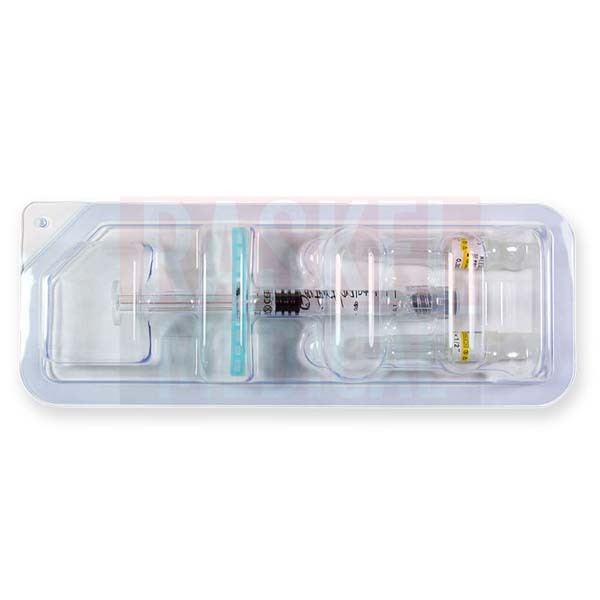 This filler is supplied in a 1ml syringe. The major difference in the products within the Perfectha line, lies in the number of hyaluronic acid particles. Since this filler is not integrated with an anesthetic agent, an application of suitable pain reliving agents could be considered. Some of the best injection techniques include retro and serial puncture techniques. Massage the corrected areas for natural-looking gel placement. This wrinkle-erasing and lip plumping filler is made of 20mg/ml of cross-linked hyaluronic acid gel. After the hyaluronic acid particles are extracted biotechnologically, the molecules are reticulated with strong covalent bonds via innovative cross-linking process, E-Brid Technology. This advanced manufacturing process ensures almost an indiscernible level of chemical reticulating agent, BDDE. The resulting gel contains approximately 90,000 particles/ml which makes it perfect for correcting moderate-set wrinkles and augmenting lips into desired shape and size. 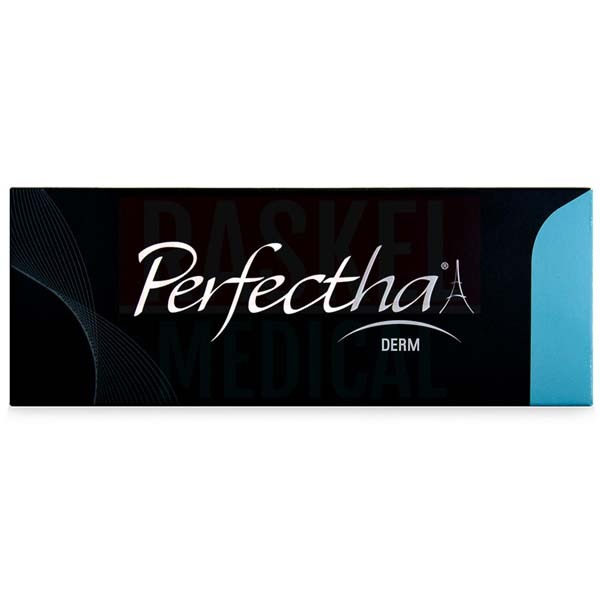 Each box of Perfectha Derm comes with one prefilled 1ml syringe, two 30G ½” needles, two traceability labels, and a package insert. Perfectha Derm is able to erase wrinkles and plump lips for six to 12 months. It is advisable to keep the filler in a storage room with temperature controlled between 2℃ to 30℃. Keep it well protected against light and frost.